I would not hesitate to recommend your service Jolene and I already have! You made the whole experience of choosing my wedding dress very easy and extremely enjoyable. When I first contacted you I was in a bit of a panic as it was less than 4 months to my wedding and had already been told that this was a major problem by other bridal boutiques. You never made me feel it was, maybe not ideal but not insurmountable. I came along that afternoon and managed to buy a beautiful sample dress from you. I loved the selection of dresses that you had available and could have picked a few from your collection, prior to trying on the one. I also loved the fact you had a great selection of bridal accessories as well, so I could plan the whole outfit in one shop! 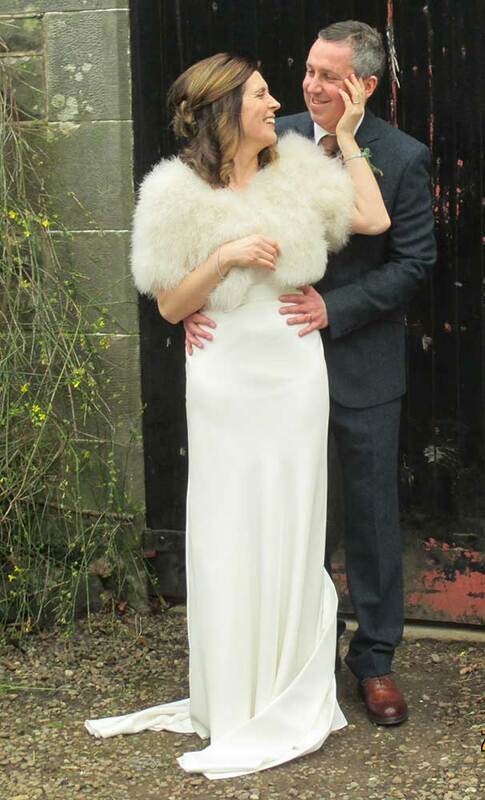 Thanks very much for my gorgeous wedding outfit, your style advise and help in putting it all together.